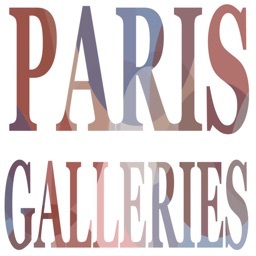 Explore the art galleries and exhibits in Paris, France! 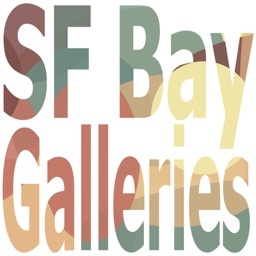 View dozens of current and future art exhibits, uploaded by the galleries themselves. 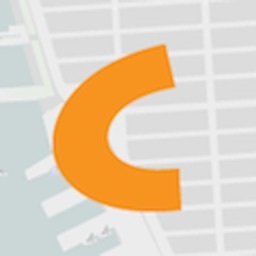 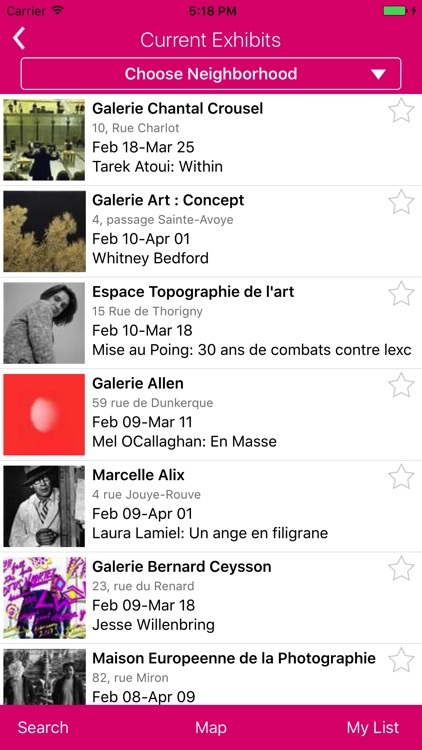 Filter by neighborhood, what's currently on, what's closing soon and what's coming up. 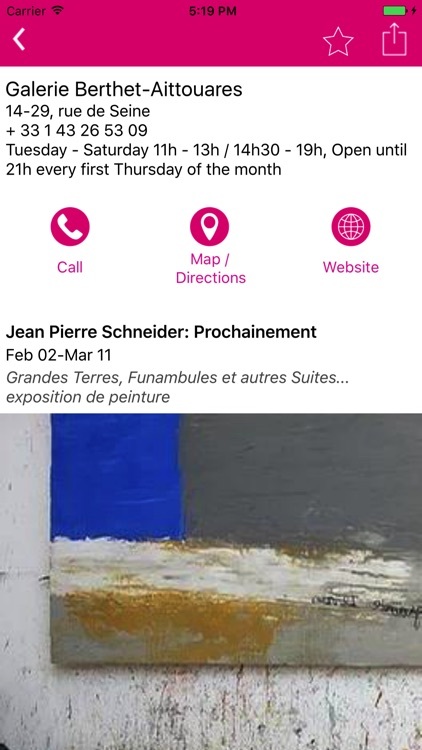 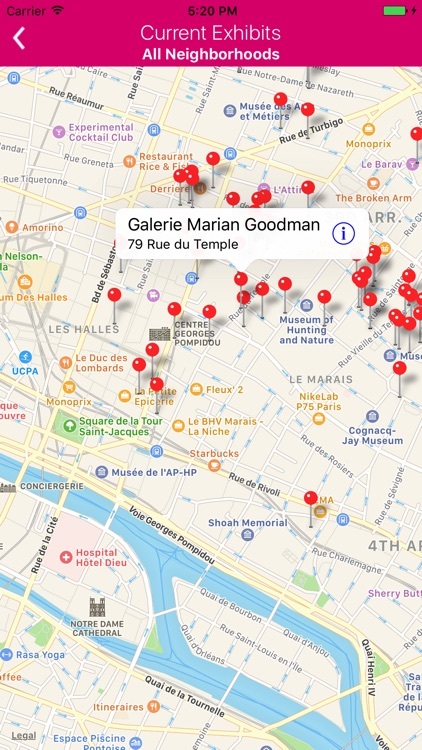 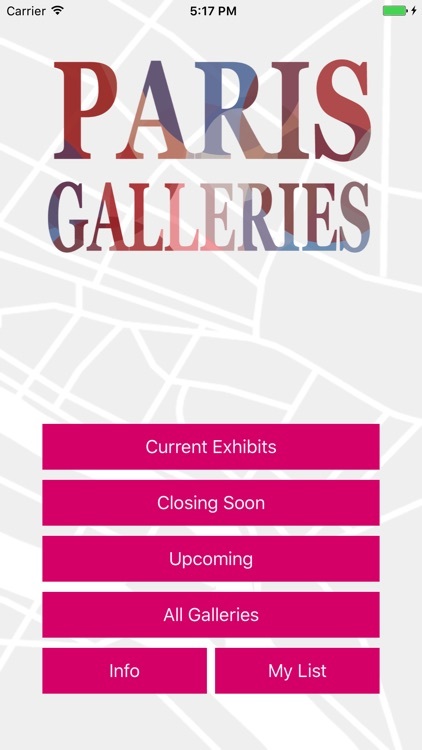 Map the exhibits and track your current location as you wander from gallery to gallery using your phone's GPS! 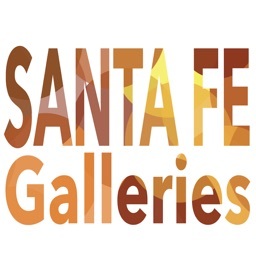 View gallery contact info, open hours, call the gallery, get directions from your phone to each gallery, view websites, see exhibit photos and descriptions and dates. 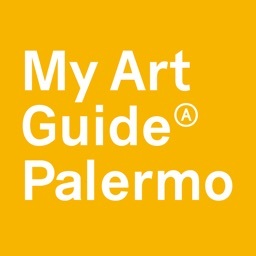 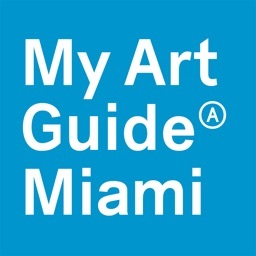 Simply the handiest and most essential gallery guide in the city!